Richard Winters of Ojai, California was crowned Road to the Horse Champion in Franklin, TN March 15, 2009. Winters, John Lyons and Tommy Garland competed for the coveted title in front of a sold out crowd of 6,000 spectators. The competition matches three top clinicians with three unbroken colts and culminates in an obstacle course competition after just 3 hours of training. Winter’s approach in training his colt, as he explained to the live crowd, was to train his colt just like he would in any other setting on any other day. 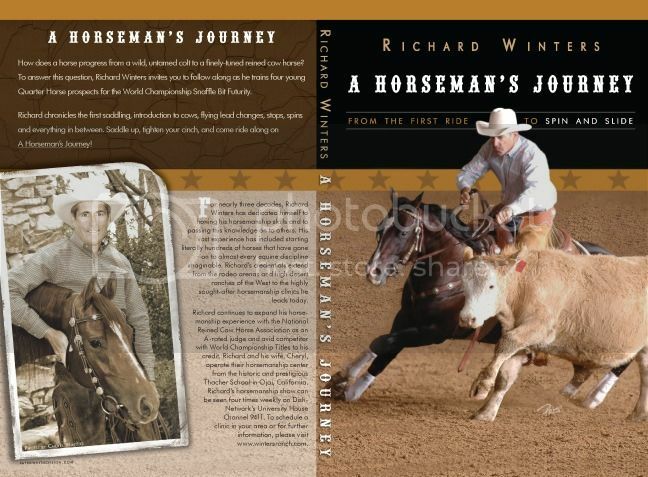 For Winters this included riding his colt in the obstacle course in a halter rather than a bridle and bit, making him the first champion to ride his colt to victory bitless. In another Road to the Horse first, Winters asked for a calf to be let into the arena during his freestyle. He explained it is important to him to cultivate curiosity and confidence in his young horses by introducing them to new experiences such as tracking cattle. Winters is the horsemanship instructor in residence at the Thatcher School in California and is also a champion reined cowhorse competitor and an A rated NRCHA judge. ***Be sure to Google “Richard Winters” to find his site. He has a wonderful set of DVD’s available as well as his new book!